This was my first time visiting Wintercamp and at such a large event too. Wintercamp is attended by thousands of Scouts, Explorers, and Girlguides from across the UK. Over the two days, the young people got to try their hand at a whole raft of different activities. Many of the activities didn’t need pre-booking but simply join the queue and enjoy the fun like a Scouting theme park. As a large event with many different Scout Groups and Explorer Units present, it was really interesting for me as a leader to see how different groups do things: the differences in the kit they brought, the way they laid out their pitches and more. It certainly goes to show that there are many more ways than one to be successful in running Scouting activities. At camp, we were really very lucky with the weather. The temperature was about six or seven degrees so didn’t feel terribly cold and bar a short burst of rain it was dry all weekend. I’ve heard stories and seen pictures from other leaders of previous runnings of Wintercamp ranging from snow lined tents to Glastonbury-esque muddy fields. 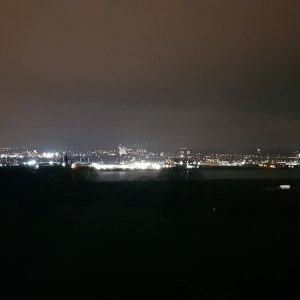 On the first night, I was out for a wander around the site and even the view out over the city from one of the hilly fields at Gilwell was impressive. The climbing wall at Gilwell Park is impressive looking. The activities at Wintercamp were vast. They ranged from traditional Scouting activities such as climbing and shooting to the fun including quad biking and fun fair rides like dodgems and a waltzer. A number of off-site activities were available such as white-water rafting, horse riding and more. There really was something for everyone. Our Explorers clearly enjoyed themselves at Wintercamp which is great to see and hear. I love reading emails from parents after we get back from camp to hear that their children have come home with positive and happy stories and memories because that is part of what Scouting is about: making memories. At our weekly meeting following Wintercamp, a number of the Explorers expressed an interest in Gilwell 24 which is a similar event but run over a 24-hour period throughout the night. The leaders at Phoenix Explorers are starting to look into this to see if it’s something that we can do although I think we might take a tent or two so that the leaders can at least grab 40 winks even if the Explorers don’t! In Basingstoke, the Gang Show runs biennially and the auditions and rehearsals for this are intensive so we only visit Gilwell Wintercamp once every two years. Once we’ve looked into Gilwell 24 and if it is something we do then we will see how popular it is and how we fit that into our camping and activity schedules going forwards. All I can say to close is roll on 2021! 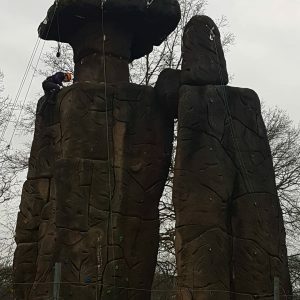 This entry was posted in Events and tagged Gilwell Park, Wintercamp. Bookmark the permalink.